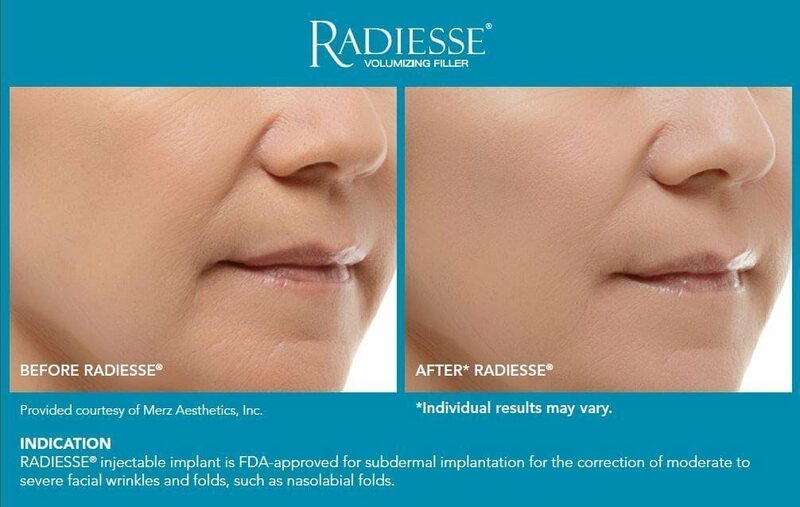 It’s entirely possible to look younger without having surgery thanks to Radiesse® dermal filler. This treatment is available at Supriya Aesthetic Dermatology for patients in South Florida. Radiesse® is a proven method of filling in fine lines and wrinkles in certain problem areas. Dr. Supriya Tomar is knowledgeable and experienced with administering these injections. Radiesse® is an injectable filler that has been approved by the FDA to help fill in line and wrinkles around the mouth and eyes. It contains a mixture of calcium ions, hydrogen, and carbon which is suspended in a gel-like liquid. This treatment can be given at the office and takes just a short amount of time to perform. It is a safe and effective method in treating skin folds. 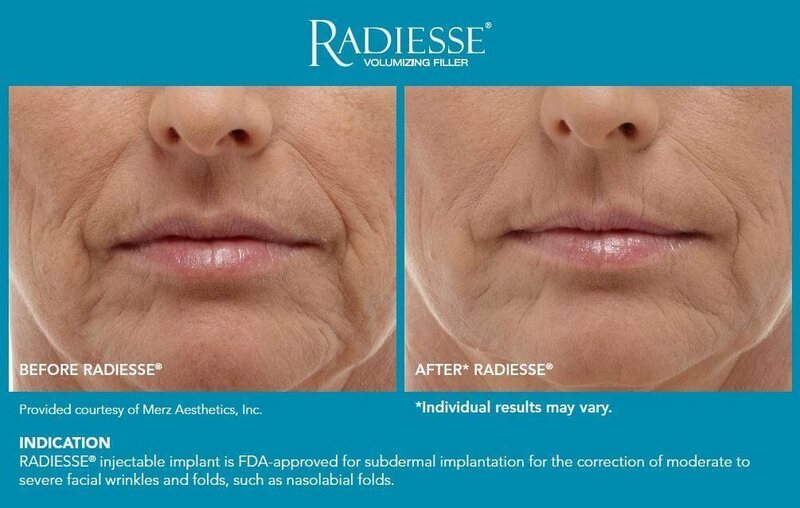 Radiesse® lasts longer than most dermal fillers, and clinical studies have shown that Radiesse® can last a year or more. Dr. Tomar will perform an initial consultation, at which time the patient’s goals and product benefits will be discussed. By doing so, Dr. Tomar will be able to develop a personalized treatment plan involving Radiesse®. On the day of the procedure, the patient will be taken to an examining room where the skin will be cleansed before applying a topical anesthetic if needed (many patients do not require it). Once these preparations have been made, the right amount of product will be injected into predetermined areas of the face. A typical procedure takes only about 30 minutes to accomplish. The unique combination of ingredients in this filler works together to plump the skin from underneath. By doing so, the appearance of wrinkles is diminished, and the skin has a smoother look and feel. In addition, these ingredients also stimulate the body’s own collagen production, which means that as time goes on the skin will naturally become firmer than it was before. The fact that Radiesse® helps the body stimulate collagen production means those who undergo this procedure have a more youthful yet natural-looking appearance. 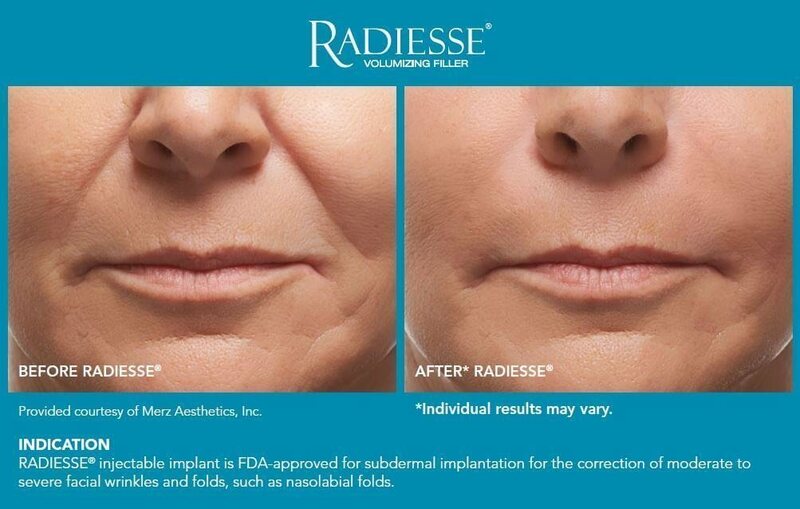 Dr. Tomar can use Radiesse® for nonsurgical cheek and chin enhancement, however, we have noticed a large number of patients that prefer to use Radiesse in their hands to reduce signs of aging. When will benefits be noticed? After we perform the injection, you will see results immediately. The average patient notices benefits for about 12 to 18 months, as the compounds are slowly absorbed by the body during that time. Skin rejuvenation treatments are considered to be elective, so most insurance providers won’t cover the costs. To help make Radiesse® affordable and accessible for everyone, Supriya Aesthetic Dermatology offers financing options via CareCredit®. We also accept cash, personal checks, and major credit cards. Contact us today if you have any questions about the cost of Radiesse®. Just like with any injection, you may experience mild irritation, swelling, itching, redness, bruising or tenderness at the injection site. These typically resolve on their own. If any of these side effects persist, contact us immediately. There is very little to no down-time involved in a Radiesse procedure. In fact, most patients return to their normal, daily activities right after their visit. Every patient is unique, so be sure to discuss your plans with Dr. Tomar in your consultation. Dr. Supriya Tomar is a board certified dermatologist and expert injector of Radiesse® for patients in Jupiter, West Palm Beach, and the rest of South Florida. She has been doing injections for over 10 years and one of the busiest injectors in Palm Beach. She is well known for giving her patients beautiful and natural results and is a recipient of the Platinum Award from Medicis, the makers of Restylane® and Restylane® Lyft.